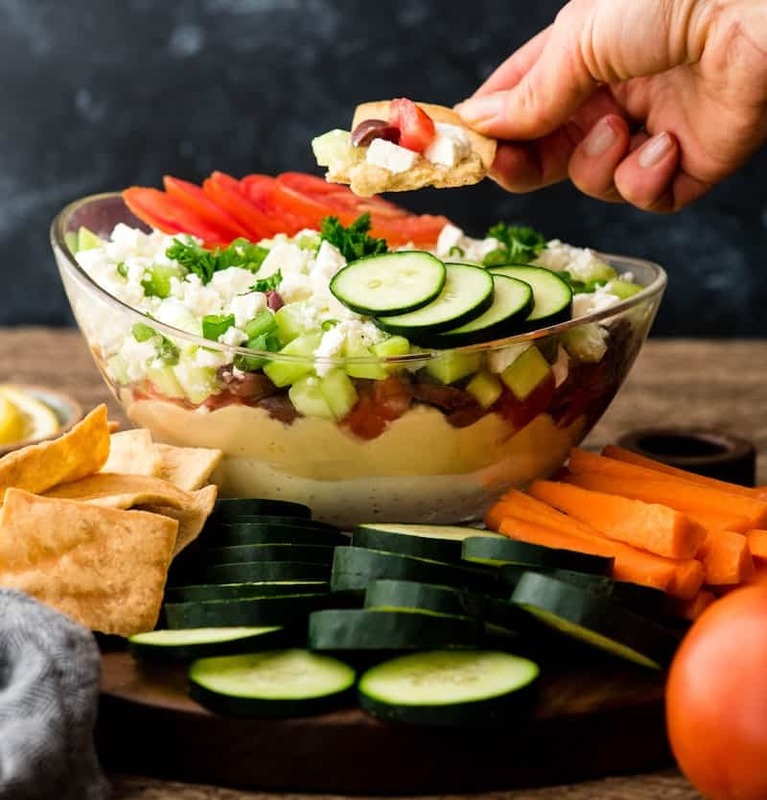 This Layered Greek Dip Recipe is the perfect healthier cold appetizer for a crowd. It’s a must-make when you are entertaining this summer! It’s always the hit of the party (or BBQ)! It’s gluten-free and only takes 10 minutes of prep time! This post has been sponsored by Sabra Hummus. All thoughts and opinions are my own. Are you already dreaming about warm summer nights, barbecuing by the pool and spending time with friends and family in the great outdoors?! 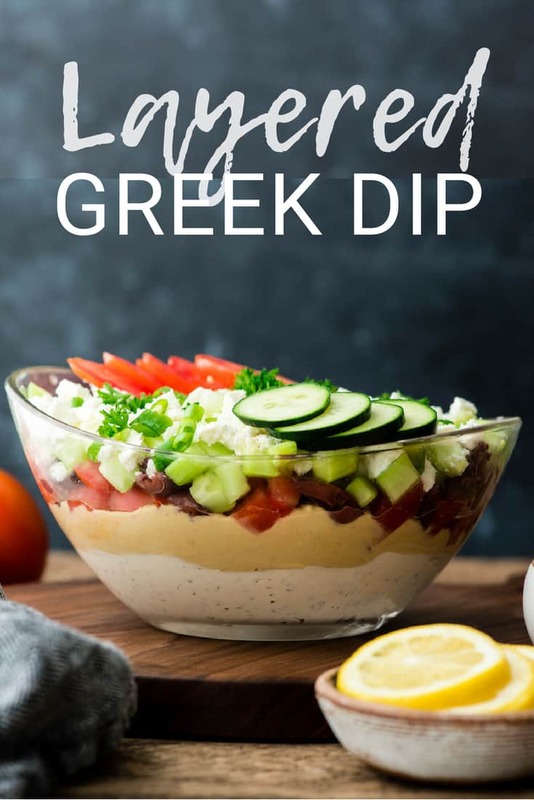 I know I am, so today I’m sharing this Layered Greek Dip recipe, because is perfect cold appetizer for a crowd! Funny story, my husband’s New Year’s resolution for 2018 was to ask me to make more dips! (I’m not joking)! Very specifically, he asked me to make more of my Aunt’s dips (because she is the dip queen)! 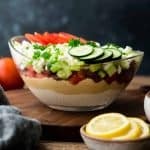 I remember the first time I tried this Layered Greek Dip and fell in love! 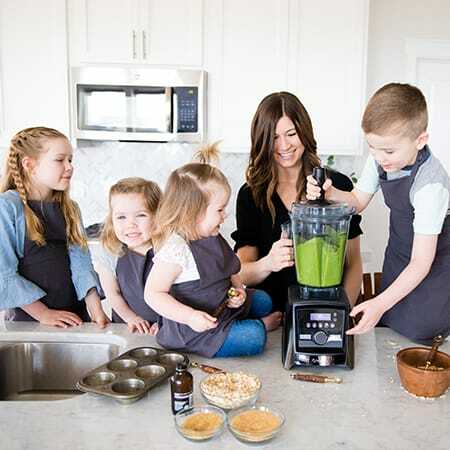 I tweaked her original recipe to make it a little more kid-friendly, and am excited to share it with all of you today! 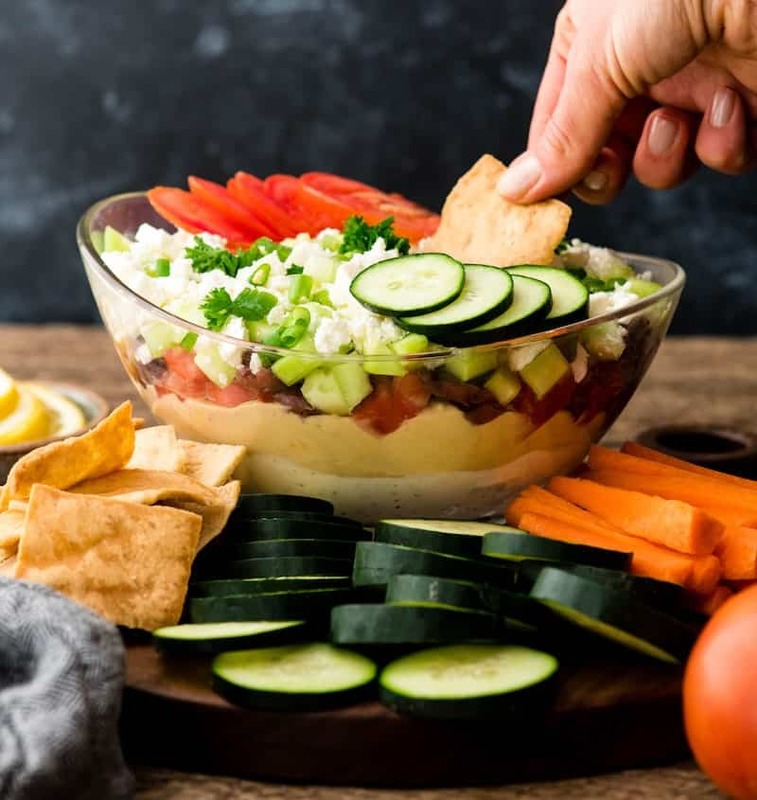 This Layered Greek Dip recipe is the best when it’s made with Sabra Hummus! For as long as I can remember, Sabra has been my favorite. Its creamy texture and bold flavors are unmatched by any other store-bought varieties! No joke, when Gabe was 2 until about 4 he loved hummus, but would only eat Sabra! If we were at a party and there was another variety he’d absolutely refuse to eat it! What can I say, he had a refined palette, even at age 2! 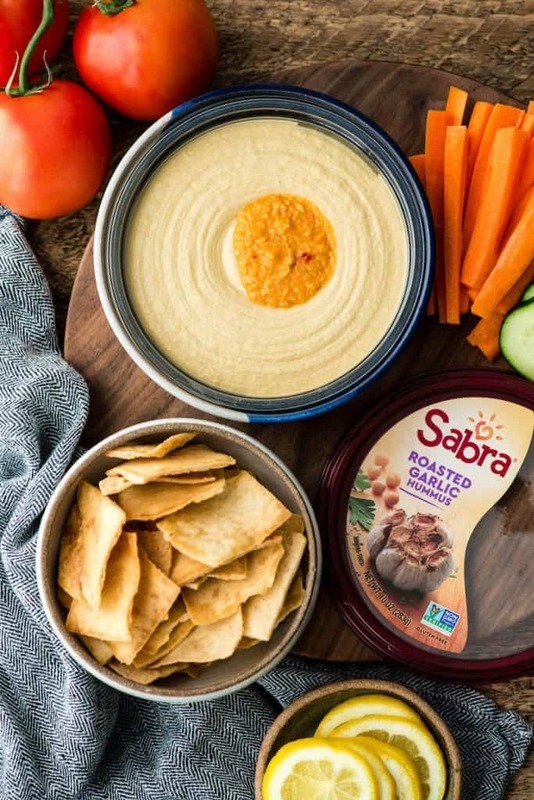 This recipe calls for Sabra Roasted Garlic Hummus, however the sky’s the limit when choosing a flavor! Others that I highly recommend are the toasted pine nut and classic varieties! If you’re anything like me, presentation is important to you when hosting a gathering! The Sabra tubs are presented so nicely with such beautiful garnishes, but I always ruin it when I scoop it out of the tub into a serving dish! 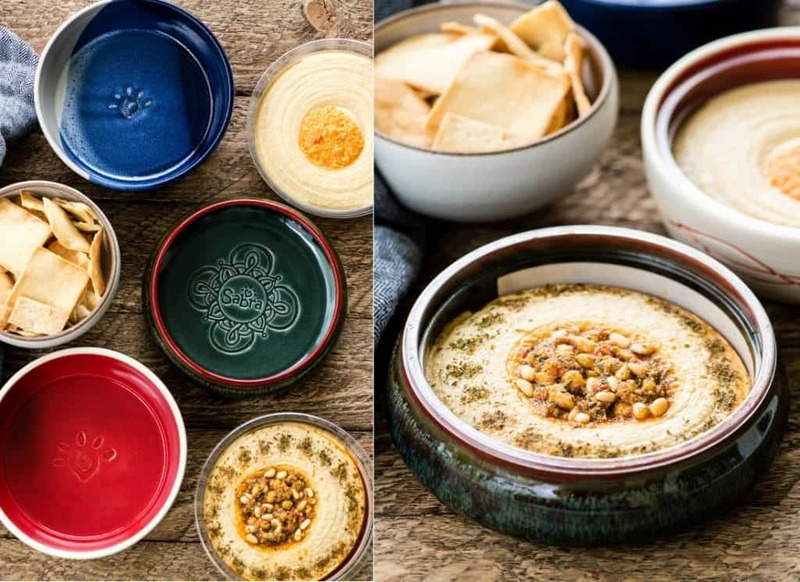 I totally love these bowls sent to me by my friends at Sabra, because I don’t need to compromise any of the presentation to serve these 10 oz hummus tubs! Now I just plop the tubs into these gorgeous handmade bowls for an easy and healthy appetizer! Don’t you just LOVE them?! I know I do! 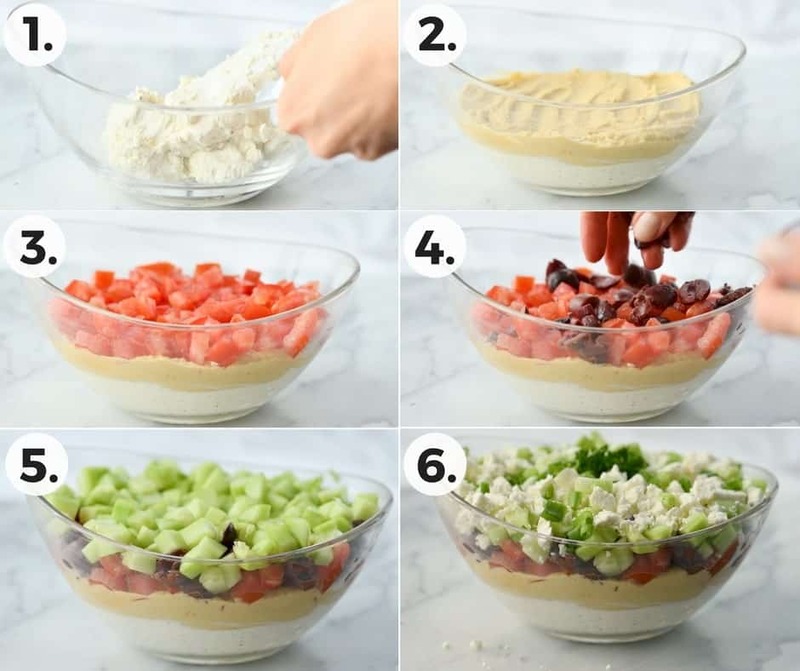 I created the video (located just above the recipe card) to show you exactly how to make this Layered Greek Dip! But here are a few step-by-step photos if you prefer to have the visual on screen, and some notes about making this recipe as well! 1. Choose your serving dish. I found these gorgeous glass bowls (the smallest one is pictured here) to use to serve this Layered Greek Dip in and I love them! However you can choose your favorite dish, including a 9″ round pie plate! It doesn’t technically have to be glass, however I think using glass is a great choice because it shows off all the layers beautifully! 2. Mixing the Cream Cheese Layer. First, make sure the cream cheese is at room temperature before beginning! Cold cream cheese does not mix well! Next, I recommend using a standing mixer or hand mixer to ensure that all the ingredients are evenly distributed in the first layer! 3. Decrease the water Content! It’s important to remove as much water from the ingredients as possible to keep this easy Greek dip from becoming a soggy mess! Tomatoes. In order to prevent water leaching out of the tomatoes, making this dish a soupy mess, it’s important to remove the insides of the tomatoes before dicing. Olives. Be sure to drain the Kalamata olives thoroughly for the same reason as above! 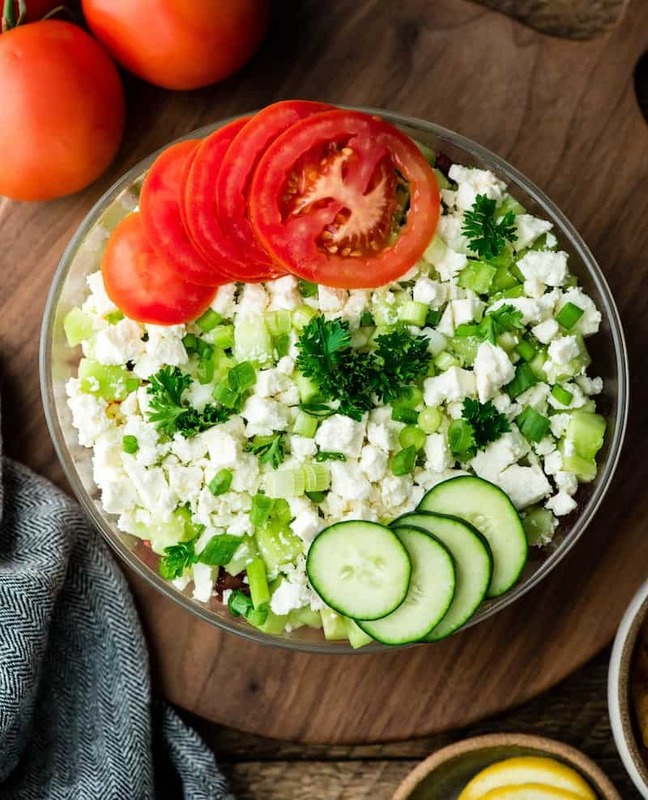 To store, simply cover the serving dish with plastic wrap and let this Layered Greek Dip chill in the refrigerator for at least 2 hours, and up to overnight. This mediterranean dip keeps well for up to 5 days. We enjoyed leftovers on grilled chicken and it was SO yummy! As always, I recommend making this recipe exactly as written, however there are a few possible substitutions that can be made with great results! Garlic powder. Minced, fresh garlic can be used in place of garlic powder! Onion powder. Finely diced red or yellow onion can be used in place of onion powder, however be aware it will add a little crunch to the bottom layer (which isn’t bad, it’s just different)! Kalamata olives. Any olive variety will work in this recipe. However the flavor of Kalamata olives seriously cannot be beat. They are available at just about every large grocery store! This Layered Greek Dip Recipe is the perfect healthier appetizer to serve when you're entertaining this summer! It's always the hit of the party (or BBQ)! It's gluten-free and only takes 10 minutes of prep time! Place the cream cheese in the container of a standing mixer fitted with the paddle attachment (or use a medium mixing bowl with a hand mixer). Add lemon juice, Italian seasoning, garlic powder, onion powder and sea salt and beat until combined. Spread the cream cheese mixture evenly in the bottom of a glass pie dish or serving bowl. Spread the hummus over the cream cheese layer evenly. Add cucumber, tomatoes, olives, cheese and green onions, sprinkling each evenly over the top by hand. Garnish with fresh oregano, parsley, etc. Place in the refrigerator for at least 2 hours or overnight. Serve with pita chips, vegetables, or your favorite dipper! What a delicious dip for summer parties! Love those layers of flavor going on! This is such a great recipe! I love using premade hummus to put this together quickly! Can’t wait to try. Ooh this looks so good! That’s amazing that Gabe liked hummus at such a young age. I’ve never seen a layered Greek dip before, but Greek flavors are DELICIOUS. Oh my gosh, I love that your husband’s new year’s resolution was to ask you to make more dips hahaha!